Who Do You Know Who Wants to Transform Their Life? By controlling depression, stress or anxiety? By getting rid of a fear or phobia? By giving up smoking or drinking? By coping better at work or with relationships? By dealing with negative thoughts or emotions? By dealing with medical or clinical issues? By improving their sporting or artistic performances? Garry Coles of Release Hypnotherapy should be your only choice for a hypnotherapy consultation. A full time hypnotherapy expert for over 15 years, he is one of very few to hold a masters degree (MSc) in clinical hypnotherapy, the highest hypnotherapy and hypnosis qualification in the UK! 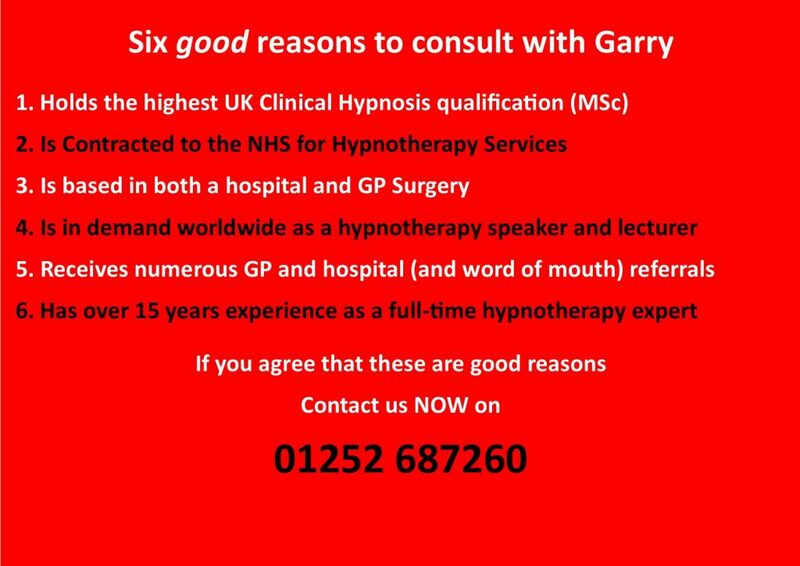 Garry is one of the few hypnotherapists in the UK to be contracted to the NHS (where he consults weekly at a major hospital). He also works from GP surgeries and clinics and is sought after as a hypnotherapy presenter and trainer, worldwide. Have a look around the Release Hypnotherapy website for more information, or on our Facebook page, (link below), and then contact us to see how we can help you transform your life! Look at the A to Z page from the menu, that gives a list of issues that hypnotherapy may be of benefit with. Many of the issue classifications have underlying links to further information. Or fill in the form below and we will get back to you as soon as we can to see how we can help you transform your life! I have just realised that it’s now been 2 weeks since I last saw you and I have not let you know how things are going. As you can probably guess from the fact that time has flown me by thing are still going great. I am still amazed at how different I feel now and how great that feels, I have been a much nicer and more fun person to be with, I have done more in the last month than I have in probably the last year! I have been organising a holiday and an Easter weekend away, which again I wouldn’t normally do, I would rather have stayed at home to feel safe from the world outside. I think I would say that I am actually living at last rather than just existing. So a HUGE THANK YOU!!! for all your help and expertise, I do appreciate it. – TW – borderline personality disorder client. Garry, thank you for getting me back to my winning ways – AA, world champion motorcycle racer. Five Locations in Surrey; Farnham & Guildford, Hampshire; (Hants), Fleet & Hook, (Odiham) and London; Harley Street. Services also available remotely via Skype (or other communication applications) for international clients, and for UK clients with requirements where certain specific approaches are not required.